The main feature of our engagement with an organization is the trust. The guiding principle of our outsourced support is the guarantee of the quality service delivery. We are what our commitment is. Since the development sector is multifaceted and is moving towards a more professional approach, the growth opportunities are immense. Identifying the right kind of organization and issues that you feel strongly about is the critical first step in determining what kind of path your career will take. We work closely with our partners to develop and implement sustainable plans, to connect them with expert trainers to help leaders obtain skills and design curricula to train participants, and to create new ways to share resources through our international level network, enabling them to become local agents for change..
Technology for Development contributes in socioeconomic development, international development and human rights. The theory behind this is that more and better information and communication furthers the development of a society. 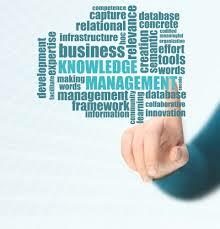 We have variety of tools and methods for the progression of your venture. Our professional experts are always ready to give you full and true information about the latest and updated opportunities related to your field. We have many different tools and methods for your organization developing.We assist them in developing their own road map towards becoming a leading organization working for their communities efficiently. Our professional experts are always ready to give you full and true information about the sectoral updates.Their experience is based on their dedicated efforts for the reforms in society..
read more Comments Off on Our work is DEDICATED TO THE PROSPERITY of our clients!